Conceived in close collaboration with the artist, this survey tracks almost three decades of Eliasson's artistic practice - including works completed in 2018. Hundreds of illustrations are introduced by a perceptive essay by art historian Michelle Kuo and an interview with Eliasson. The book provides an unparalleled overview of his creative output, which speaks to an astonishingly varied audience, from large-scale installations such as The weather project, which drew over two million visitors to London's Tate Modern in 2003-4, to smaller, more delicate works, such as watercolours, compasses, and glass works. Views of his dynamic studio in Berlin round out the picture. An inspiring guide to the work of one of today's most multi-faceted and influential artists, Experience includes such pivotal artworks as Green river (1998), Ice Watch (2014), and Waterfall at the Palace of Versailles in Paris (2016), and gives an invaluable glimpse into many of his lesser-known works. It also features brand-new projects A view of things to come, Reality projector, and The unspeakable openness of things, which was installed in Beijing in March 2018. From the publisher of Olafur Eliasson and Studio Olafur Eliasson: The Kitchen. Olafur Eliasson is an Icelandic-Danish artist whose works have been exhibited globally in institutions such as MoMA, Tate, and the Venice Biennale. He works and lives in Copenhagen and Berlin. Michelle Kuo is the Marlene Hess Curator of Painting and Sculpture at the Museum of Modern Art, New York. She was the Editor in Chief of Artforum International from 2010 to 2017 and has lectured and published widely, on the work of artists such as Robert Rauschenberg, Anicka Yi, and Le Corbusier. 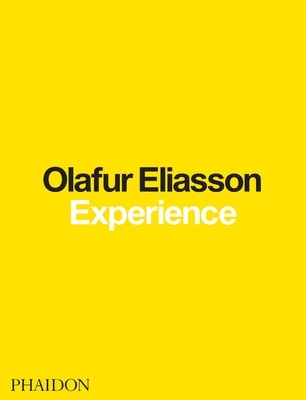 Anna Engberg-Pedersen directs research and communications at Studio Olafur Eliasson.